Hilary Paynter is one of the UK's leading wood engravers and past president of the Royal Society of Painter-Print makers. There is always an urgency in my work because of my commitments to the SWE and RE and I have developed rapid engraving techniques. Generally, I have several blocks in progress at any time and move between them. I enjoy the occasional constraints of working to a commission. I listen to Radio 4 or stories on tape while I work. I always have more ideas than I can use and these range widely to include socio-political comment and landscape. I normally work directly onto end-grain wood with rudimentary drawings from ideas that I have been refining mentally and this allows development of the engraving on the block. 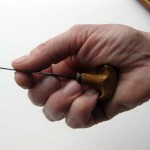 What is a wood engraving? 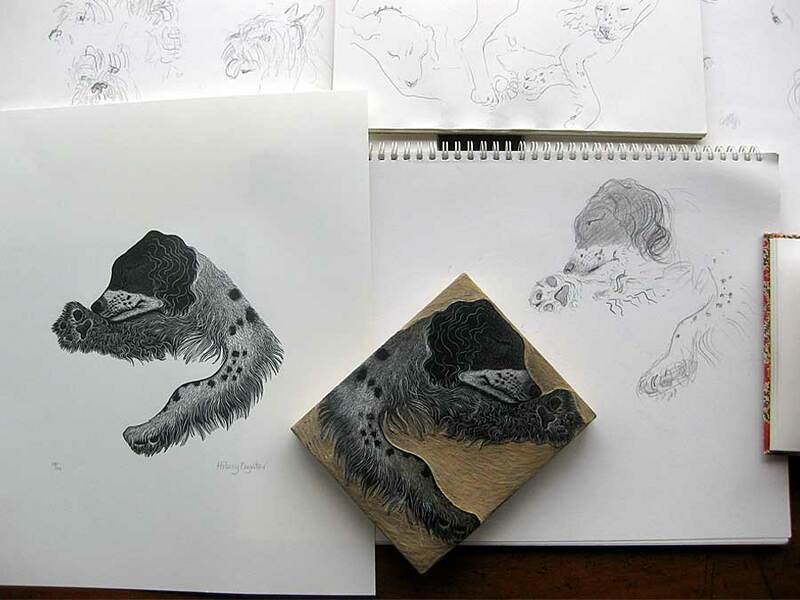 Wood engraving is a relief printing process characterised by fine line and texture. Cutting directly into the polished surface of end-grain wood: usually box or “lemon” with special tools, such as spitstickers and scorpers, that can cut a line finer than any pen or pencil could achieve. The print is made by rolling ink onto the engraved surface of the block. The parts that have been engraved do not receive ink and will therefore appear white. Paper is placed on the inked surface and the ink is transferred to the paper by press or hand-burnishing. The engravings are in limited editions. Each print carries its own number and the number of the edition size: 2/50 means the second print in an edition of 50 prints. All the prints in an edition should be identical. Each print is individually numbered and signed by the artist. © www.hilarypaynter.com / All website content and imagery rights reserved.